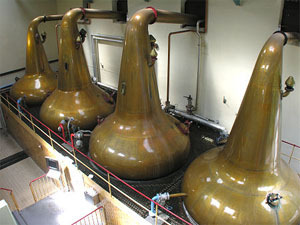 Glenfiddich, McCallan, and Grants are just a few of the famous whiskey distilleries in Scotland. 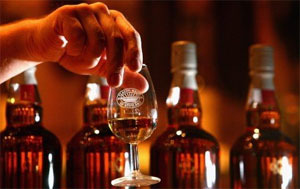 This 7-day tour includes the gardens, castles, and famous landmarks of Scotland, as well as an opportunity to tour the distilleries and learn about the whiskey-making process. Taste each one and choose your favorite! Arrive at Edinburgh/Glasgow Airport and pick up your self-drive car, or meet your chauffeur guide. Depart for the north of Scotland. Overnight in the Perthshire area. After your Full Scottish Breakfast, visit Scone Palace, the family home of the Earl of Mansfield and the site of the famous coronation Stone of Scone. Continue to the small highland town of Pitlochry. Stop at the Salmon Ladder, where you may be lucky enough to see salmon leaping! From Pitlochry, head toward Braemar, taking the very scenic & dramatic road over the Spittal of Glenshee. Descend into Braemar and the heart of Royal Deeside, the favored holiday area for the Royal Family. If time allows, visit Balmoral Castle (open May – July only), home of the Royal Family. Continue to Aberdeen for a two night stay in this lively university town. After breakfast you can explore the Old Town of Aberdeen. Two notable features are the West Front with its twin castellated towers and the painted wooden Heraldic Ceiling in the nave, dated 1520. Visit Duthie Park and Winter Gardens – a beautiful 50-acre park with floral displays in all seasons, including a “rose mountain.” There are two boating ponds and many sculptures and mountains. The winter garden features exotic plants, flowers, birds, fish, and turtles. Outside Aberdeen, visit Crathes Castle, which has royal associations dating from 1323 when the Land of Leys was granted to the Burnett family by Robert the Bruce. The castle features some remarkable late painted ceilings. There is a large walled garden and the great yew hedges date from 1702. Return to Aberdeen for overnight. Travel northward towards Inverness. 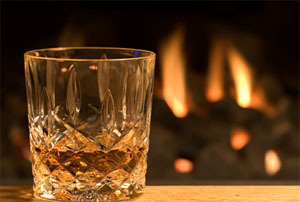 In the morning follow the Whisky Trail & visit one of the many famous distilleries in the area. 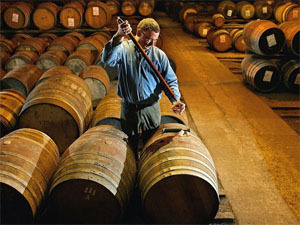 You can visit Glenfiddich, McCallan, Grants, Cardhu and many more. 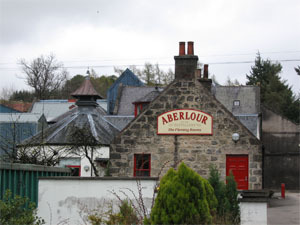 Each gives an audio-visual show and then a guided tour of the distillery to learn of the processes; for many the highlight is a tasting at the end of the tour. The choice of what to see and do in the Speyside area is huge – there are castles – Brodie, Cawdor (made famous by Shakespeare’s Macbeth), and Ballindalloch. Visit Culloden Moor, site of the last land battle on British soil, explore around Inverness, capital of the Highlands, take the Strathspey Railway from Boat of Garten to Aviemore, watch the Ospreys at Loch Garten. Stay 2 nights in Inverness. Enjoy a day visiting the West Coast of Scotland. Journey across to Ullapool, a quaint fishing village. Then travel down past the dramatic Corrieshalloch Gorge to the Inverewe Gardens, run by the National Trust. These magnificent gardens have a famous rhododendron collection, and who would expect to find palm trees in Scotland. Return through the magnificent scenery of the Torridon area and past Loch Maree. Return to the Inverness for overnight. Today travel south again via Loch Ness. Loch Ness forms part of the Caledonian Canal, a feat of great engineering linking East Scotland with West using a series of lochs. Make a stop at Urquhart Castle, a very scenic spot and also the site of many “Nessie” sightings. Continue toward Fort William, which nestles beneath the highest mountain in Great Britain – Ben Nevis. If time allows, take a ride in a gondola at Anoch Mor. On a good day the views over the West Coast are stunning. From Fort William, travel south through the beautiful and mysterious Glencoe, which is great for walking and climbing. Then travel over Rannoch Moor and into the heart of the Trossachs, known as the “gateway to the Highlands.” Stop at Stirling Castle, which played an important role in Scotland’s history. The Great Hall has been refurbished and the Visitor Centre has a very good audio-visual exhibition. Continue to Edinburgh for a 2 night stay. Enjoy a full day in Edinburgh. Head to Edinburgh Castle, home of St. Margaret’s Chapel and the Crown Jewels of Scotland. When returning via the Royal Mile, take time to explore the “closes,” which hold many secrets. Have lunch at one of the restaurants or pubs along the Royal Mile. In the afternoon, visit Holyrood Palace, the official residence of the Queen when she is in Scotland. The Palace has a wonderful ballroom and staterooms. 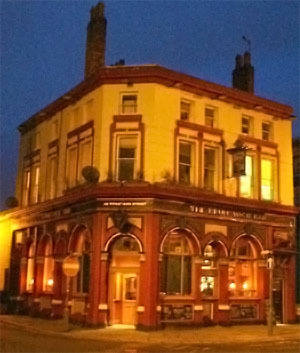 Head to New Town to admire the Georgian architecture and the well planned streets that are very different than those of the Old Town. Return to your accommodation for overnight. OR, Car rental with unlimited mileage, VAT taxes and CDW insurance. Custom designed itinerary upon approval. Site admissions throughout the itinerary. From $2,495 Per Person for a private chauffeur based on party of 4 traveling. From $1,395 Per Person for self drive car rental based on 2 or 4 traveling.